Manta Resort, Pemba Island, Zanzibar Archipelago. Mikael Genberg is an artist, who makes art for the public. He made his first underwater hotel in the native Sweden fourteen years ago. Now he spreads his wonderful ideas around the world. 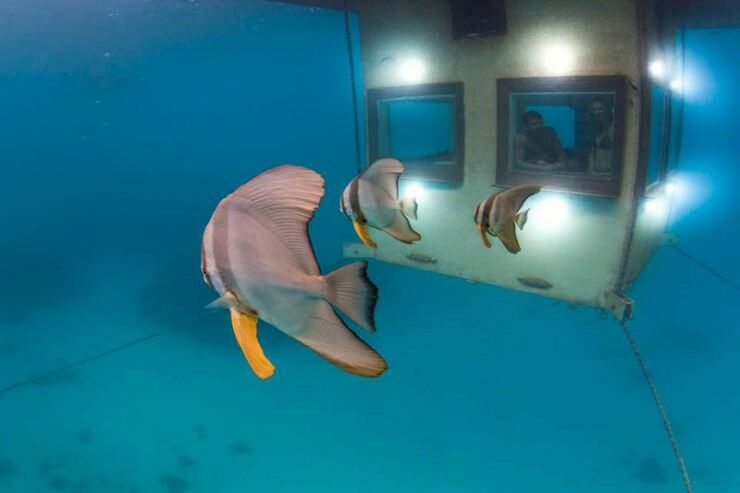 This is the first underwater hotel in Africa. Pemba Island was chosen as the most perfect place: the remote resort is surrounded with unspoiled nature and guests find themselves in the most beautiful and quiet retreat. 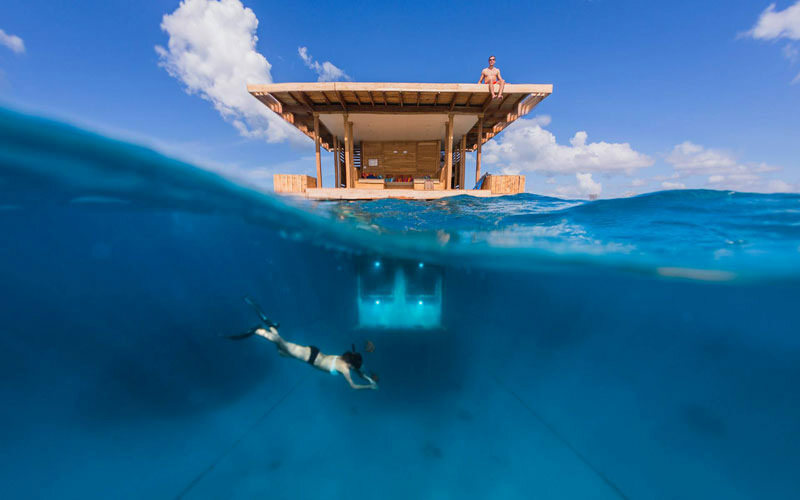 The floating structure has the lounge area on the roof, the bathroom and bedroom are under the sea level. The hotel room is located in the reef, next to a Blue Hole. At night the lights attract all sorts of marine creatures near the bedroom windows. You can also admire the starry sky at night from the roof. The underwater silence and tranquility create the most relaxing surroundings to rest and sleep. To experience the exciting underwater stay in this beautiful resort. Climate is beach friendly all year round here. Fly to the local airport from Zanzibar or Dar es Salaam (Tanzania) or catch a ferry from Dar es Salaam.